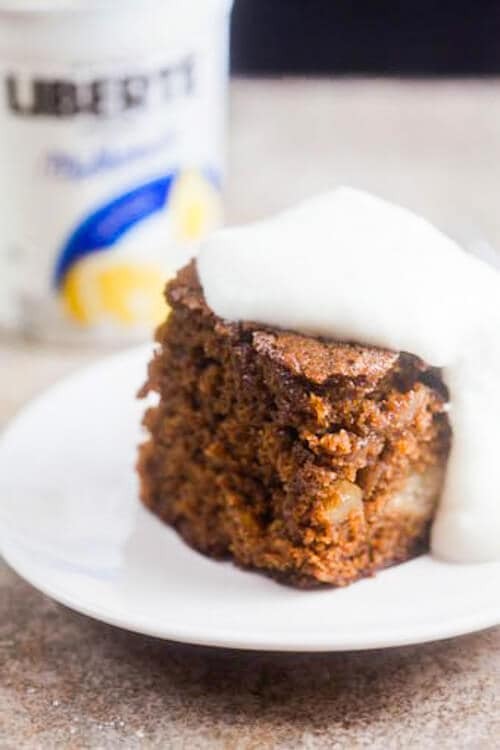 Double Ginger Apple Gingerbread | Healthy. Delicious. 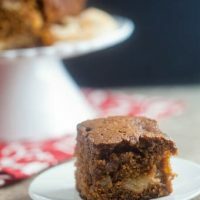 This tender spice cake studded with apples and crystallized ginger is perfect on it’s own or layered with lemon yogurt, parfait-style. I really, really wish there was a way to transport smell over the internet because this apple gingerbread cake smells DIVINE. Standing over it and inhaling deeply is almost as good as actually eating it. 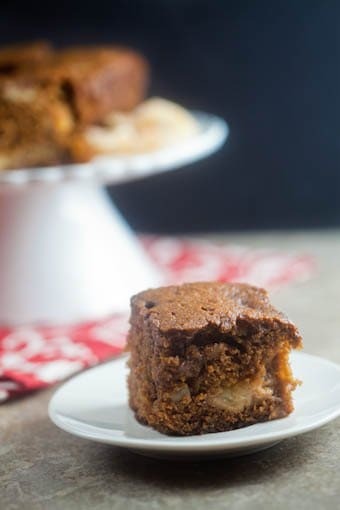 This apple gingerbread is like everything good about fall, all baked up in to a gorgeous cake. Sautéed apples add extra moisture and crystalized ginger adds extra zing. The cake is tender, with a crumb that practically melts in your mouth, and it’s full of rich, earthy spices and the perfect touch of sweetness. It tasted like something that might have come out of your grandmother’s kitchen. Topped with tangy lemon yogurt, either spooned on like whipped cream or layered like a parfait, it’s positively ethereal. I know what you’re thinking: cake with yogurt? Trust me, it works. The idea popped into my head when I was brainstorming “perfect paring” ideas for Liberté Méditerranée and I’m so glad I went for it. It might not be conventional, but it’s a great alternative to whipped cream or creme anglaise –just be sure to stir the yogurt well since it’s “fruit on the bottom” style and you’ll miss out on all the lemony goodness if you just spoon it off the top. Preheat oven to 350ºF. Line a 9"x9" baking pan with foil. Melt 2 tablespoons of butter in a small saucepan. Add the apples and cook until softened, about 5 minutes. In a large mixing bowl, beat together the butter and sugar until light and fluffy. Mix in the egg, then add the molasses. In a second bowl, mix together the flour, baking soda, and spices. Stir half of the dry ingredients into the butter and sugar mixture; mix until combined. Stir in the hot water. Add the remaining dry ingredients and mix until combined (the batter will be smooth and light brown, similar to milk chocolate frosting). 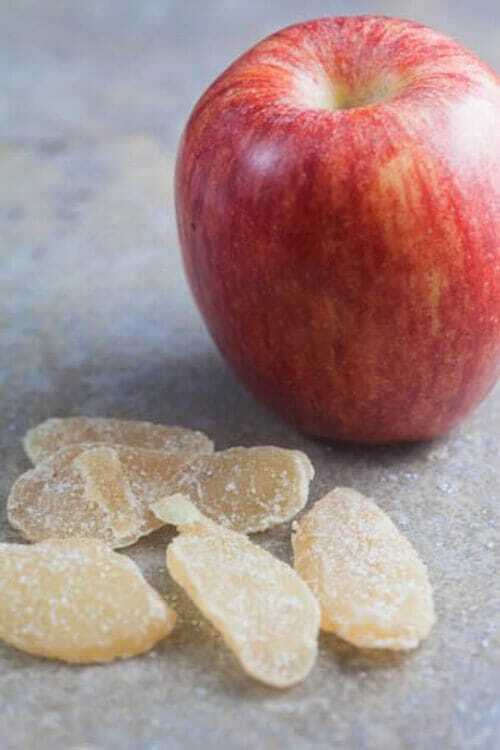 Stir in the apples and crystalized ginger. Pour into the prepared baking pan and bake for about 1 hour 15 minutes, or unti la toothpick inserted into the center of the cake comes out clean. Disclosure: This post was brought to you in partnership with Liberté; I was compensated for developing this recipe. Thank you for helping support the brands that keep me inspired in the kitchen. 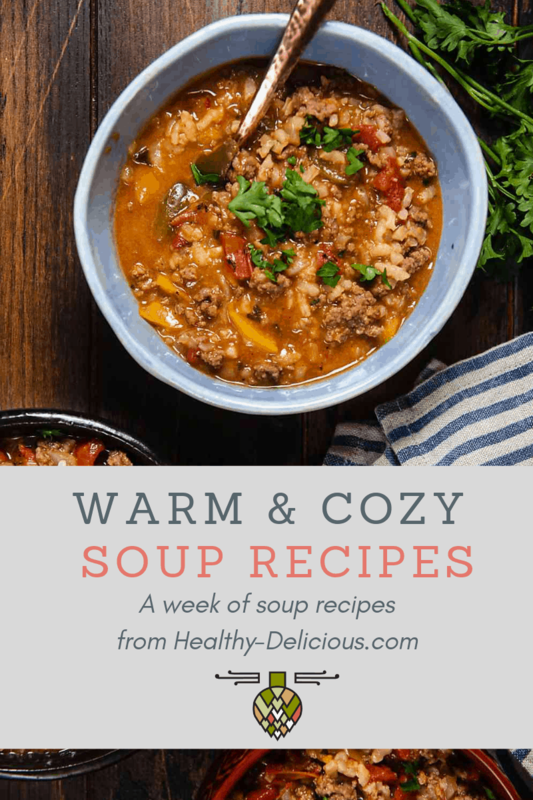 I was deliberately looking for this recipe and ran across your blog. Double Treat. Just made this in a 10 inch round pan with cream cheese frosting and it was wonderful! I used less molasses since I knew my frosting would be sweet. It was moist and flavorful and a huge hit! 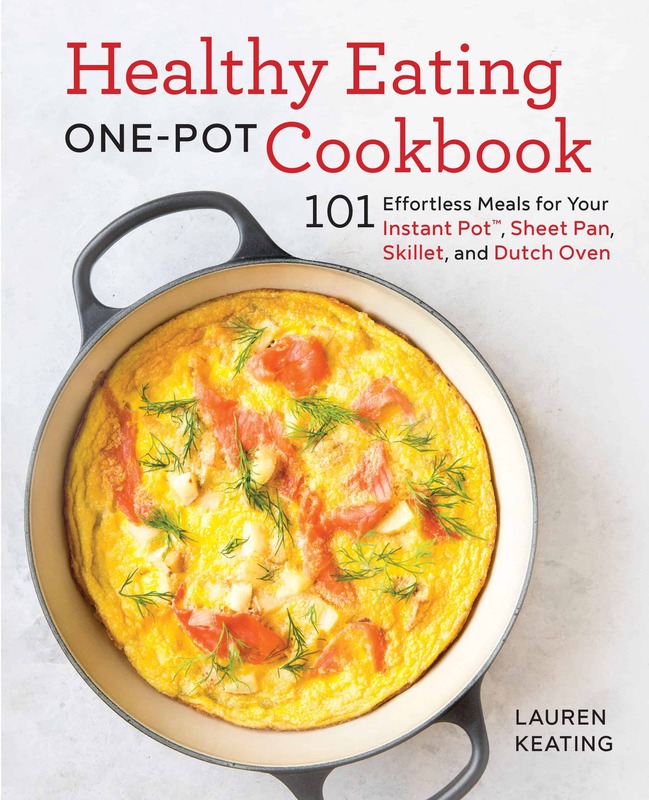 This looks very yummy – I am going to try this soon! 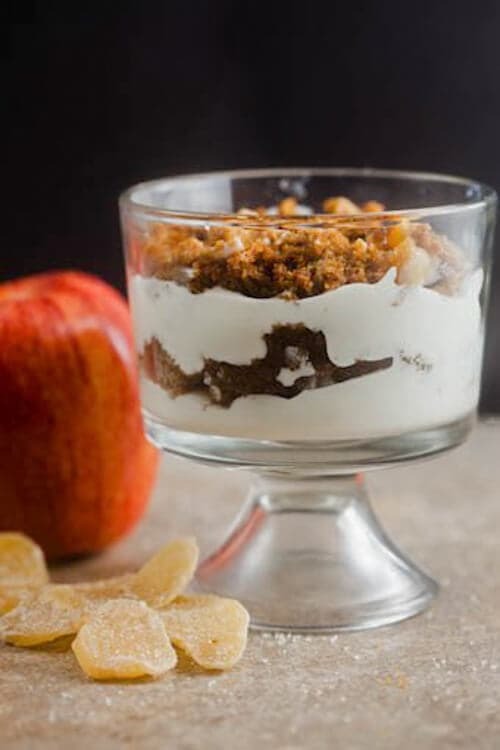 This is one of those homey and comforting desserts with warm spices and apples. I use a spoonful of yogurt in place of whipped cream all the time! I’ll bet the tangyness goes really well with the ginger; a parfait is such a good idea. I’m always shocked at how perfect lemon and ginger are for each other, but this is the ideal example! I’d happily gobble up this parfait!